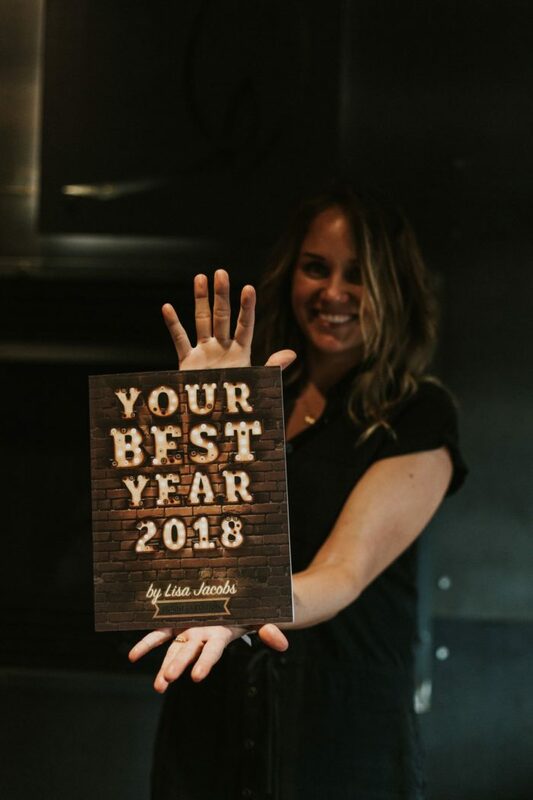 Your Best Year 2018 is back for its fifth year, and I can hardly wait to see the results you’re going to create with it. And I mean, buckle your seat belts. This is the biggest, baddest Your Best Year yet. You read that right! This year, I’m doing something I’ve never done before. Because Your Best Year has a season (it includes a dated calendar and worksheets), things get quiet toward the end of February each year. In March, I gradually phase out the book, deepening the clearance discount through August. 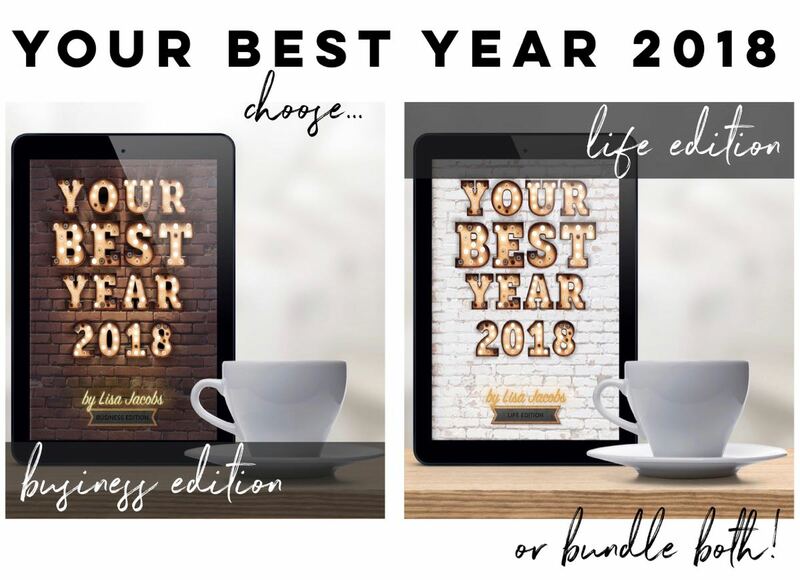 Your Best Year 2018 is too good to mark down! So instead, I’m gifting it to you. It contains a powerful message, and I want everyone to receive it. If you’ve already purchased a copy, you’re invited to share this gift with all your friends and tell them your personal experience and results with the book. Share this page and pay the gift forward to as many people as you like. I wrote the book with lofty goals in mind. I want you to find and embrace unlimited potential. I want you to accomplish whatever it is you set out to do for the betterment of your life and business. I want you to obliterate time-wasting inefficiencies, mindless busywork, and bad habits. This is the tool that will help you do all that and more. Right from the kickoff of Your Best Year 2018, I’m going to speak to the next level YOU. I want to appeal to her, strengthen her, and help you bring her to life. It’s your time, and you’re going to take it to the next level this year. It’s going to be hard work. At times, you’ll suffer discomfort (and that’s okay, you’ll survive). If you agree to learn, adapt, evolve, and endure, you will thrive. You’ll reach peaks of personal achievement you never thought possible. You are about to have the year of your life, and I have great news: you already have all of the resources you need to succeed. You are enough, you have enough, and you offer enough to make all of your dreams come true. With this book, I want you to become an unstoppable, relentless force toward your own success. My friends, there’s never been a book about online business like this before. 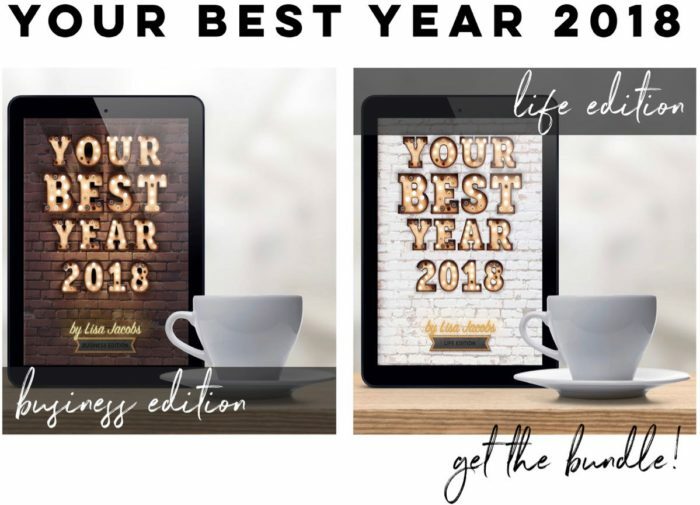 Your Best Year is the *only* workbook on the market that encourages a fluid long-term plan designed specifically for online entrepreneurs. I’ve finally figured out what it takes to make it online. While I’ve always had an entrepreneurial spirit, I haven’t always known how to be a successful entrepreneur. But, I get it now; I’ve mastered the fundamentals. This book takes my proven systems and methods, and shows you the way. The vast internet in which we do business is as scary and unforgiving as the mighty jungle. It’s easy to get lost. You’ll feel overwhelmed and outmaneuvered. It’s easy to panic. You might get eaten alive, and there’s a very high probability of failure. That’s why, in Your Best Year 2018, I will teach you lessons of survival and endurance. Have a Life and a Business? Get the bundle for free, too! I study human behavior and personal achievement an average 30 hours per month in order to help online entrepreneurs maximize their potential. 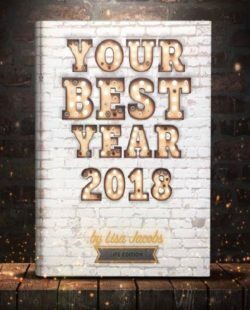 For years, people asked me if the BUSINESS edition of Your Best Year would work for them too. They buy the book, skip over the entrepreneurial stuff, and apply the same proven systems and methods to their life goals to produce fast results. This year, I thought I’d make things a little more convenient and a lot more useful: A LIFE edition just for you! People wanted the same content—hard-hitting prompts and thought-provoking challenges—to apply to their lives and personal situations. You won’t find an all-new book between the Life Edition cover, but rather, the same book with less business references. Decision-making tools that will launch you into the winner’s circle. Have a Life and a Business? Get the Bundle! For a limited time only, enjoy a whopping 40% off both editions and download the bundle for only $20 FREE, too! What would happen if you came into 2018 fully committed with a Mad Max focus on the results that matter and the life you want? What would happen if you gave 100%? I’ll tell you what! You would make your most aspirational dreams come true. You would finally make the changes in your life you’ve been meaning to make all these years. You’d produce the results you’ve always craved. You’d feel satisfied and fulfilled. You would feel so proud. You’d feel worthy and deserving. You would feel in charge of your destiny. The truth is, most people know exactly what they need to do next in order to improve, but they fail to do so. 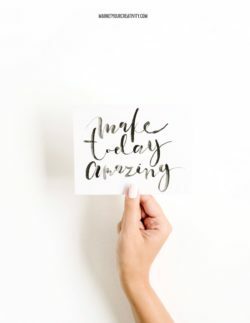 Whether it’s more time in the gym, more activities with your family, a more intimate connection with your spouse, healthier habits, better self-care—there’s probably a list of things you KNOW you need to do to improve, you’re just not taking the leap. 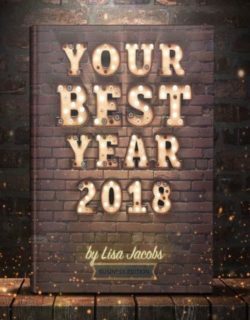 Your Best Year 2018 is the resource that will empower you to make real and lasting change. You have greatness in you. It’s time to give it LIFE! Enjoy, my friend. Here’s to Your Best Year yet!